Find Nakhon Ratchasima, Thailand, on the map. “Korat” is the commonly used nickname for the city. To Sabbath School teachers: This story is for Sabbath, Oct. 20. Johrel attended four schools in four years. Every time he went to a new school, he had to make new friends. He got tired of moving and wished that he could just stay in one place. But moving wasn’t Johrel’s biggest problem. When he was 7, his parents got jobs in different cities in Thailand. His mother taught a kindergarten class in Pattaya, while his father worked as a high school math teacher, five hours away in Muaklek. Johrel lived with Father, while Mother took Johrel’s baby brother to stay with her. Mother and baby brother came to visit on weekends. She arrived by bus on Friday night, and the family worshipped together in church on Sabbath. Sunday was a special family day, and they did fun things together like swimming at the beach. Then Mother returned to the bus station early Monday morning. Johrel liked the arrangement for a while. He was busy at his Seventh-day Adventist school during the week, and he looked forward to Mother’s weekend visits. She always brought him a food treat. But then he began to miss her terribly. He wished that his parents could live together. He told his father about his desire, and the two began to pray about it. Johrel and Father prayed every day for two years. Then one day Father announced that he and Mother had been offered teaching jobs in the same city: Korat. Johrel was happy to hear the news—but suddenly he wasn’t sure that he wanted to move. He wanted his parents to live together, but he didn’t want to have to start his life over again and make new friends at another new school. Johrel prayed that night about the situation. As he spoke with God, he decided that he was being selfish by wanting to stay rather than helping his family to be together. 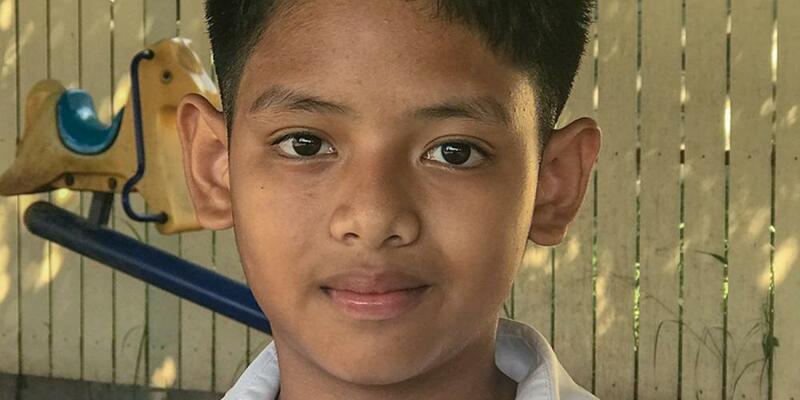 Johrel, who is now 10, is happy with his new home and new school. He is studying in the fourth grade at Adventist International Mission School. Both of his parents teach at the school, and his brother is in the kindergarten there. Part of this quarter’s Thirteenth Sabbath Offering will help Adventist International Mission School construct a new campus so more students can study about Jesus. Thank you for your mission offering.